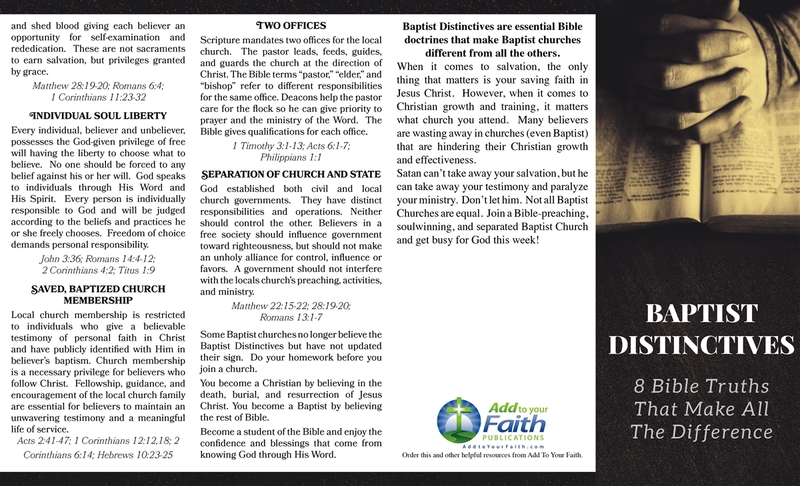 Full-color 8-panel brochures that reinforce the importance of the Baptist Distinctives. 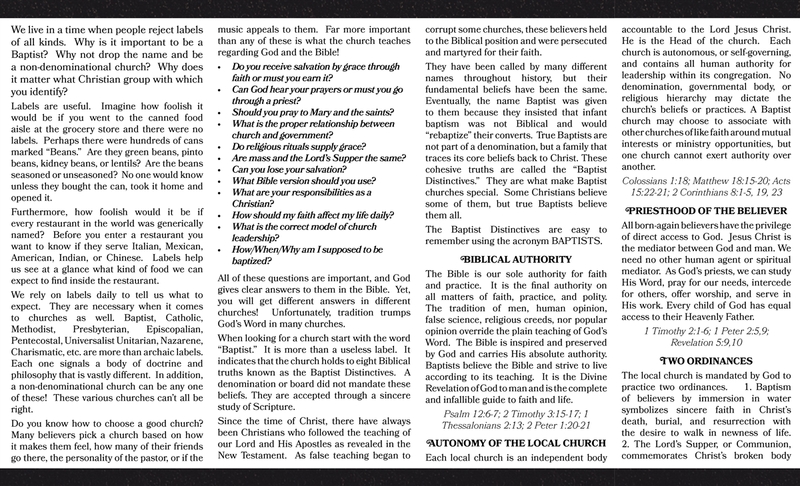 Teaches each of the Distinctives with supporting Bible references using the acronym BAPTISTS. Use as a training tool or a bulletin insert.